Read to Your Heart's Content – Reading, especially reading good smart things, is important. Book reviews and thoughts. What we say, do, and read matters. חנוכה I love Chanukah! ❤ The miracles, the inspirations, the music, the history, the light, the deliverance from oppression and terror, standing against evil, prevailing, the victory, faithfulness, perseverance, the dreidels, the chanukiyot and of course, one of the main ingredients of any Jewish celebration – the food! 😀 Chanukah is every year on the 25th of Kislev (9th Hebrew month). Also called Chag HaUrim (Festival of Lights). This year, 5777 (2016), it starts on the evening of the 24th of Dec. Chanukiyot is the plural form of Chanukiah, also spelled Hanukkiyah, which is the special Menorah for Chanukah. I love seeing the variety and history of Chanukiyot from different countries. Happy Hanukkah by Matisyahu – absolutely love this song! Oy Chanukah by Theodore Bikel (He also does an awesome Maoz Tzur) Great song. Sevivon Sov Sov ~ super fun song to sing! Ocho Kandelikas by Yasmin Levy She sings this song so beautifully. I’ve liked all Ocho Kandelikas by all the artists I’ve heard so far. Chanukah is celebrated for 8 nights (days, too, of course.) What we commemorate and celebrate is the wonderful nisim (miracles) and awesome deliverance from oppression and evil. In the holy city of Yerushalayim, pagans mocked HaShem and dared to wickedly desecrate בית המקדש the Beit HaMikdash (Temple). Something needed to be done..Who would stand up? Who wouldn’t allow that blatant evilness to continue? There were many heroes and heroines – the Maccabees, Yehudit (Judith), Chana and her sons – everyone who fought against the oppression and the wicked acts, refusing to become a part of it. Each person did what they could and HaShem – the Creator – blessed and won the victory for us. 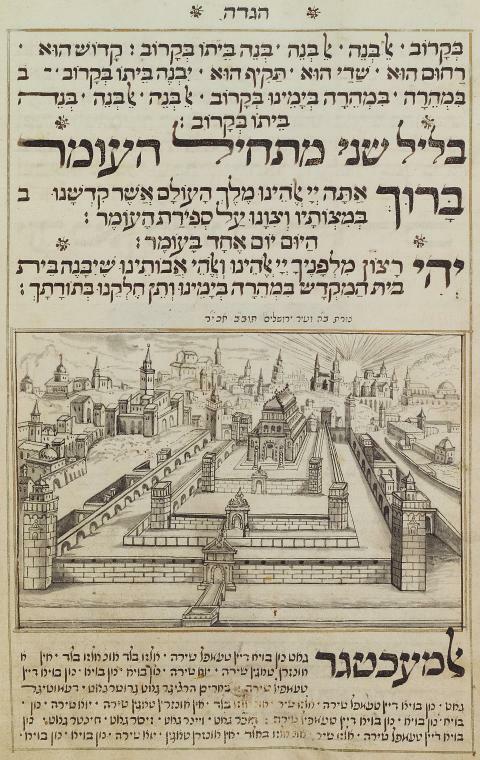 בית המקדש the Beit HaMikdash (Temple) was re-dedicated after cleaning it up from the pagans. That took a bit of work, the Menorah had been melted down and stolen, for one. The miracle of the light that continued was this: the oil for the menorah, which what was left was only enough for one day, lasted for eight days – when the new was ready! Then to add insult to injury, the pagans desecrated בית המקדש the Beit HaMikdash (Temple), worshipping their false idols in there. Blatantly mocking the One True One and His people. So someone or several someones needed to stand up and fight against the evil. The bravery and faithfulness of those who stood up are inspiring still today, after so many years. Some we know about such as ~ Matityahu and his sons Yonatan Eleazar, Yehuda, Shimon, Yochanan, known as the Maccabees, and Yehudit, a clever, brave woman fought and won against a Greek general who was evil, a brave family, courageous Chana along with her seven brave sons, none of them giving in and refused to serve idols, were all killed by Antiochus’army. It was a hard, dangerous fight, but victory was given by the One above. 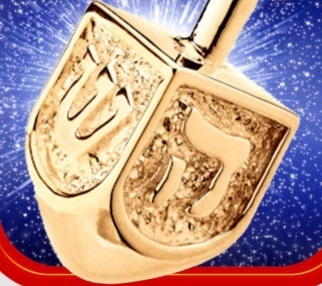 Whenever you see me speak of HaShem, this is Hebrew for “The Name”, this is one of many Names for the Creator, King of the Universe, Wonderful, Counsellor – all One. Lights are very important to Chanukah, as in the flames from the eight candles on the chanukiah (menorah). They represent the eternal flame of hope, the faithfulness of HaShem, the Light driving out the darkness in lives and in the world. That Light is the reflection of Yeshua. Now to talk about the food minhagim, aka traditions! As the saying goes, they tried to kill us, HaShem stopped them – let’s eat! Every Jewish family has specific traditions and even those can vary from year to year. It can vary in a family, which allows for good, healthy, discussions/debates about a number of subjects. Like what, for instance, you ask? Latkes (Yiddish for potato pancakes) or levivot (Hebrew for latkes/potato pancakes) vs sufganiyot (doughnuts)! In Israel, sufganiyot are usually the winners. It just matters whether you like doughnuts or latkes better. Both are delicious! The connection they have to the history of Chanukah is that they are usually fried in oil. I love dreidels (Yiddish)/sevivon (Hebrew) – I have several but don’t ask me which one is my favorite. Love all the ones I have. 😀 If you’ve never played the dreidel game before, here’s what it is ~ a top, basically, that each person in the game spins during their turn. 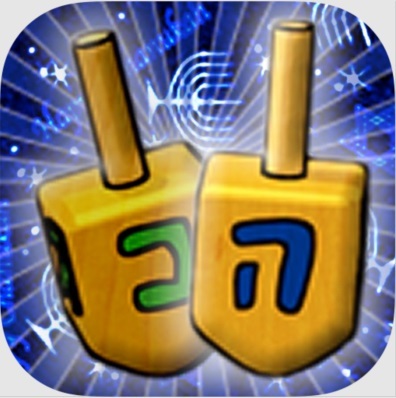 After the player twirls the top of the dreidel (sevivon), it will sov sov sov (spin), how many times it will sov depends on the surface of the playing area and how much of a sov you put on it. 😀 So then it will land on its side, with one of the sides facing upward. On each side is a Hebrew letter נ (Nun), ג (Gimel), ה (Hey), ש (Shin). They stand for Nes Gadol Hayah Sham, which means “A great miracle happened there” (if you’re not in Israel). 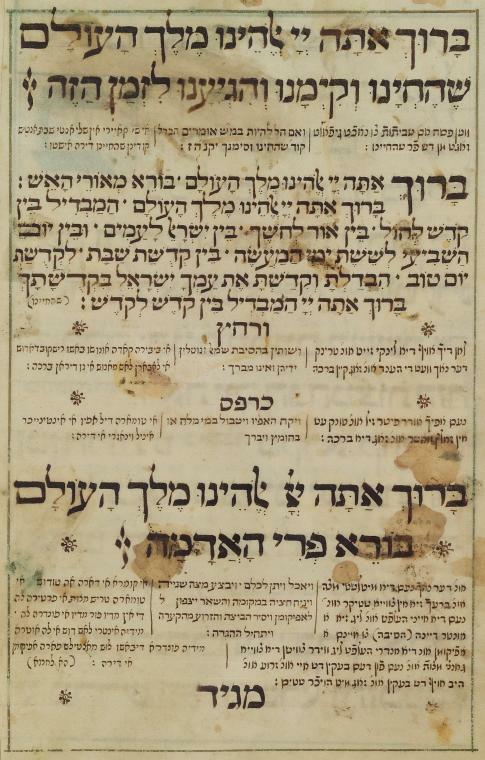 If you’re in Israel, then the letter will be פ (Pay) instead, which stands for Poh (here), Since teaching and studying Hebrew and Torah were outlawed with a threat of death during that time, this was a way to learn while appearing to just play a game. You can benefit from some games. Another great, lively topic/discussion/debate ~ spelling Chanukah one way or another won’t mess up your fun – even if you get in a debate/discussion with a family member about the correct way! :p My family personally prefers Chanukah since that is the more literal from the Hebrew since it starts with ח (Chet). Interesting that both Chanukah and Christmas both start with “Ch”. There are also a lot of Jewish connections with Christmas. Quite a number of popular Christmas songs were written by Jewish composers and many are sung by Jewish artists. It’s wonderful that a day is set aside to celebrate the birth of a Jewish baby boy. Truly, who can complain about a holiday when so many are speaking nicely about a nice Jewish boy, Who is our Mashiach. 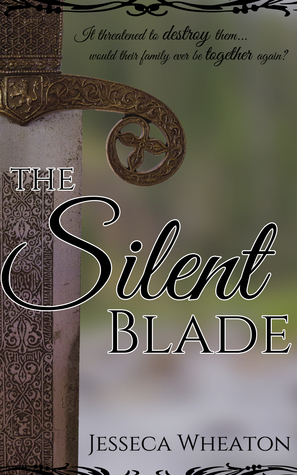 The Silent Blade by Jesseca Wheaton is an excellent book and one I highly recommend! Great adventure in Ireland! The plot is so mysterious and exciting! I’m a picky reader and this kept my interest right from the start and carried all the way through the book. Difficult to put down when I had to do other things! Eira O’Brien has no greater desire than to see her life returned to what it once was—before her older brother Kevin’s sudden disappearance four years earlier. But the simple life she hoped for seems unattainable; on the contrary, her life is about to get all the more complicated. Eira is very likable and nice. A real person. Relatable. Curious like me. Love that she is skilled with a sword. Feisty. I can cook, though. Eira, by her own admission, can’t cook very well. It’s been said that what she cooks is not fit to eat (treif 😉 ). I appreciate the characters trusting and knowing the One in Control and praying to Him. Shows much intelligence. Each character is an individual. The mystery is exciting and intriguing. As I read, I searched for clues on whom to trust and not to trust. Also, to figure out what was going on – very mysterious and tantalizing and it’s easy to keep reading to find out. I think that’s an excellent point in the notes following the story that everyone would be speaking in Gaelic (Gaeilge). Some clever and beautiful twists in the book that I really liked. Plus, I like getting the answers to some of the other characters’ stories as well. Great message of forgiveness and not letting the wrong things define you and rule your actions. I like that the characters’ faith is real and they live it and not just talk about it. Really cool. It’s pretty obvious I really get into the books I read. I’m there with the characters and it’s important for the writer’s words to make them real and cause the reader to care about them. That was done very well in this book. There is a scene where a bad guy slaps Eira and she wrongly said she guessed it was as much her fault as his (although I could tell she didn’t really believe that, she was trying to keep her brother and Casimir from being upset. They were right to be upset!) I would like to say to her, “Eira, you didn’t ask for that. It wasn’t your fault he chose to be a jerk.” It’s right to have a compassionate, caring, forgiving heart without disrespecting yourself. Yes, he had a rough life, but also she’s not doing him or herself any favors by also blaming herself and saying he didn’t strike her. He did strike/hit/slap her. Her brother and her potential boyfriend shouldn’t be lied to, but she did tell them when they correctly persisted in asking her. This is a smart, well-written book. Love the family closeness and siblings. It doesn’t matter to me whether a book is published by a big publisher or independently. What does matter is quality and that’s what this book has. It has quality writing and integrity that too often is missing from big publishers’ books, and I’m referring to all including companies known as Christian. The Silent Blade is an inspiring read and one I will want to read again. The plot sounded very cool, so I was really excited about reading Dauntless. I like that the main character, Merry, is like Robin Hood and that the author didn’t just rewrite Robin Hood as a female. Cool cover. In the foreward of the book male readers were excluded. I didn’t understand that, because it shouldn’t be assumed there wouldn’t be any males reading it. I like for both male and female to be treated nicely. The novel itself had an intriguing premise. Very cool with the stealth, forests, archery, action, romance, family, and surviving against the odds. I like the “Ghosts” of Farthingale Forest, the group of characters named this due to their stealth and expert way of disappearing without a trace. This book ranged from no stars to 5 stars throughout. 5 Stars would be Allen, Robert, Red, Cedric, Sadie, Gilbert, Wren and other “Ghosts” of Farthingale Forest. I liked the way Merry was brave and fought hard for the rest of the “Ghosts”. Also, that she and Allen had memorized Scripture and shared the knowledge with the rest of the “Ghosts”. I like that the “Ghosts” were literate even though many “nobles” weren’t. That is definitely a historically believable aspect. Merry had learned all about herbs so it was surprising, since she was already in the forest, why she didn’t get ones growing there or get seeds and grow them to cultivate and have on hand for Wren. Then she wouldn’t have needed the village to secure them. I know Merry and Timothy had stuff to learn and while they were nice at times, it seemed like they never quite overcame the character flaw of being snobs. I might have given up on the book if it hadn’t been for reading it with my sister, discussing it, and because we like Allen and the “Ghosts”. Allen is, in both of our opinions, nicer, more romantic, smarter, warmer, we enjoyed reading about him, and he’s better looking as well, than Timothy. Sometimes the descriptions, aside from the characters’ thoughts, the words the author used to tell the reader about the characters, were mean and unkind. This is true particularly when the author described Cedric. Instead of just describing the nice guy, the words not only were unnecessary, but were insulting to him. Yes, we have tender-hearts, my sister and I, and didn’t like such a nice person being referred to as ugly. There’s no way around the fact that it was rude. Totally not necessary. That was a zero star – didn’t like it. Some of the religious aspects definitely differed from our own. I believe in miracles and praying, so that’s in agreement, but the healing scenes in the Bible are vastly different than the one in the book. After reading the scene in Dauntless, I thought of a Little House on the Prairie episode that we have on DVD where fake healers and those “healed” made people erroneously believe in them and how that could have been tragic by believing in the hoax. True miracles do happen, but this didn’t seem like a real miracle. It’s a shame whenever an author misuses a word to be creative, like when anyone uses the term “demon(s)” instead of troubles, problems, worries, issues, etc. I don’t know why a Christian author would do this. In my reading and reviews, whenever I come across this, the book will lose 1 star in the rating because I seriously don’t like seeing that word because there are books/shows I don’t read/watch that have the actual meaning of the word, represented in it. I know it’s not meaning actual ones, but it would have been more enjoyable without using that word. I really loved the main plot in this book and hope to find similar ones. I’d like to read #2 because it’s Allen’s story, but not sure….UPDATE: Now that I’ve read some reviews at Goodreads, which included details about #2, Chivalrous, in the Valiant Heart series, I’m sure I don’t want to read the rest of the series. I don’t need or want to read about black magic being done, etc. No thank you. I also don’t like to read names of false gods. I don’t think Bethany House (the publishers) should have any of that in their books. That isn’t required and doesn’t add a thing to the books, it only detracts. And disappoints. 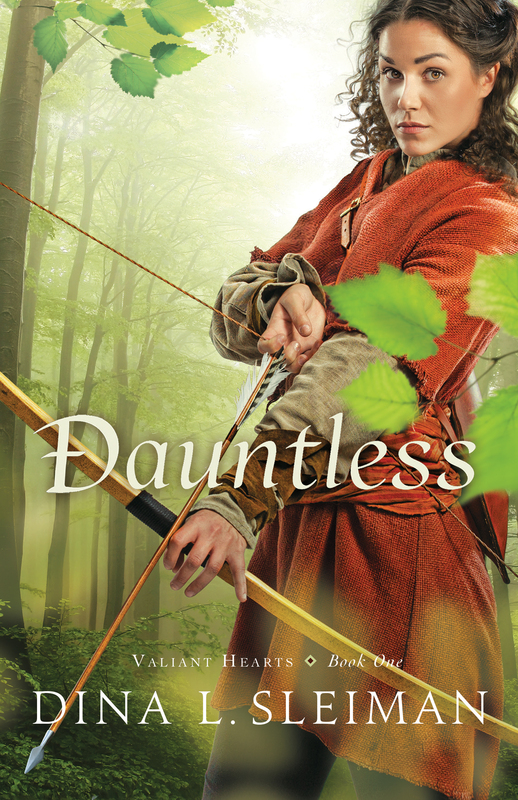 I respectfully thank the author for the parts of Dauntless that I enjoyed and felt good about. Millie consistently does her best and that’s what everyone should do. We can’t fix everything in the world ourselves, but we know Who can and we pray to Him. He is in control and evil won’t win because He’s already secured the victory. This book has a lot of humor and an intriguing mystery. Jen Turano has a fun style of writing that makes you keep reading. I really love her tongue-in-cheek (cheeky) attitude of mocking the snobbiness of society. Very good. If I may use one of Millie’s words, the attitudes of snobs are excreable. It is honorable to work and provide items and services that are good. It is dishonorable and disgusting to have such a lack of character, such as slum overseers, who make money off of the pain and hurt of others. One of the people Millie has to deal with is Caroline, who’s so rude and obnoxious, which made for a well-written antagonist. I feel bad for people like Caroline and they are definitely out there. They aren’t happy people. The Creator can help them become good, happy individuals, if they want to be. To look down on someone because they have less money, or “new money” is disgusting and very laughable. A Class of Their Own series shows that very well. I can’t understand why there are those who are greedy, pompous, cruel and seemingly void of basic decency or kindness with compassion. Making money at the expense of others, not only not helping but either adding to the suffering or being a direct cause is incomprehensible as well as deplorable (Millie would be proud of the use of those big words 😉 😀 ). It’s incredible they think they’re superior when they’ve done such despicable things to their fellow human beings. Everyone is created by the Creator. I don’t begrudge a person money or making a lot of money as long as it isn’t received through evil means, which can vary from some factories, flat-out theft, mines, to slum holdings, which are all sadly still found today, not only in America, but Europe, and other places in the world. Such as Africa where children have to forage on mountains of actual, dangerous trash. This is wrong and I pray that it’s corrected and cruelness abolished. Real issues like poverty and such horrendous living conditions make me have little tolerance for wimpy attitudes and whining from well-to-do people who should shut up. If someone isn’t going to help at least let them not add to the misery. Rachmonis is a concept from the Creator taught, and shown as well, by my parents since I was little. It is compassion and done in a way that is inoffensive to the recipient to protect their sense of self. Millie consistently does her best and that’s what everyone should do. We can’t fix everything in the world ourselves, but we know Who can and we pray to Him. He is in control and evil won’t win because He’s already secured the victory. We aren’t responsible for what others do, but we are responsible for our actions, whether actively helping or at least not doing anything that will cause hurt to someone. I finally started liking Everett around halfway into the book. I had picked up on his snobbiness in the first book when introduced to him. It’s admirable that Jen Turano and her main female characters can turn unlikable people into decent humans. Bravo for seeing the good hidden from sight. 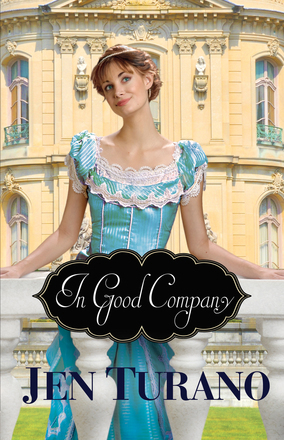 In Good Company has fun humor, interesting situations, and a serious mystery, all with a good flow, providing a very enjoyable read. It also shares with you more book characters you care about. It’s important that you have friends who are truly friends – that’s exemplified in this story very well. Shame that Everett blamed God for what was actually situations brought about by people’s own choices and free will decisions. That’s why it was odd, as Everett put it. Most of the dialogue by the main good characters was entertaining except for a few instances of rather rude remarks, but I know some were tongue in cheek and brought on by irritation rather than actual animosity or meanness. I’m looking forward to reading Jen Turano’s Ladies of Distinction series. 🙂 I expect more stories with romance, humor, and mystery. It’s wonderful having good books waiting for you. 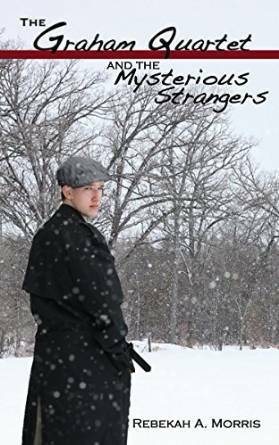 In the midst of the cold, snowy woods, the Graham Quartet stumble across a mystery. It could mean danger, but that doesn’t stop Elsa, Matt, Tim and Selena as they try their best to help a stranger who needs them. But what can Siam, Hong Kong and Vanderbilt have to do with the local furniture factory? And why are so many strangers suddenly appearing and then disappearing in town? With the arrival of an elusive figure, things start moving, while a simple delivery trip may bring more than the Quartet bargained for. Will the four siblings be able to help their friend and their country? The mystery started right away and I immediately liked the Graham brothers and sisters. I really enjoyed the siblings working together. The danger is really good. The siblings, nicknamed the Graham Quartet, are smart and use their wits well. They know that prayer is powerful and don’t fail to keep praying no matter what. The clues were fun to discover while reading and figuring things out myself. Good teamwork. My parents are a bit different than the Graham siblings’ parents because both my Mom and Dad would want to know what was going on. I’ve no doubt about that! This is my first Jen Turano novel I’ve read. She can truly write an entertaining story and make a number of very good points. I love the tongue-in-cheek humor and the clever wit that takes aim at the ridiculous, pompous attitude of the snobby element of society to hit right on target to show how wrong such mindsets are. Things like “socially acceptable birth” and “social station” etc. don’t have anything to do with whether or not a person is important and likable. People should treat others like they want to be treated. That’s in the Bible. I think Harriet Peabody is a wonderful character whom I immediately was cheering for and would want to be friends with. I love her smart, wise feistiness. She is definitely one of the best admirable female book characters I’ve read. Her two roomies, Millie and Lucetta, are also likable and have good characters – and are very unique individuals. I like also that they all care and are compassionate, as are Timothy the driver, the preacher and Abigail Hart and Oliver’s grandfather. It really is extremely silly the way some people put so much stock into standings and social classes and it really means nothing. Harriet being a “hat girl” as the snobs in the book kept saying, just means that she makes hats. A milliner. I just don’t understand how dumb “society” can be. Someone who actually has talent and uses it successfully benefitting people, including snobs, gets looked down on. I guess the snobs in society are jealous. That Birmingham family was really an awful bunch of snobs. I wanted to get away from them! Poor Harriet and she’d been through so much already. And on her birthday when she should have been having fun. 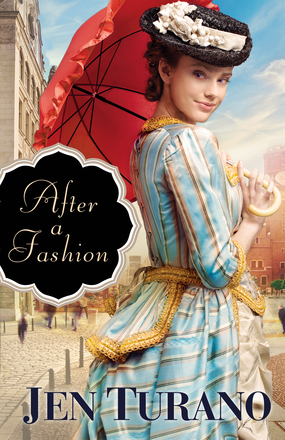 This novel was a little different for me, because usually, in the books I enjoy reading, the main male character is a favorite right away. Not the case here. Oliver took quite a while to turn into a person good enough for Harriet. I try to find the best in people, and it was difficult to find things to like about Oliver’s character for a while since he was clearly a snob and and had a lot to learn. His unethical business practices were his responsibility and it definitely hurt people. I applaud Harriet (and Jen Turano) for keeping with it and not giving up on Oliver. To give him credit he finally did learn and became a good character who cared about others. Compassion is very important. One of my favorite scenes is when Harriet is introducing Oliver to some of her friends who are street vendors. Some very funny parts there and Oliver eventually learned. One thing that did show promise about Oliver is that when he first met Harriet he realized that not only was she lovely, but also intelligent and not hysterical. The mystery is intriguing and enjoyable to figure out by the clues cleverly hidden throughout the story. I wasn’t too sure I liked the twist about Harriet’s identity toward the end of the book, but since that wasn’t why Oliver liked her then I figured that was why Jen Turano wrote that. פסח Pesach/Passover starts this week on Shabbat (the evening of the 22nd this year). As always, I’m awed and amazed by the beautiful weaving of details that our Creator puts into place. I love thinking on it, reading about it, and talking about it. 😀 Everything goes so intricately together like an exquisite concerto. 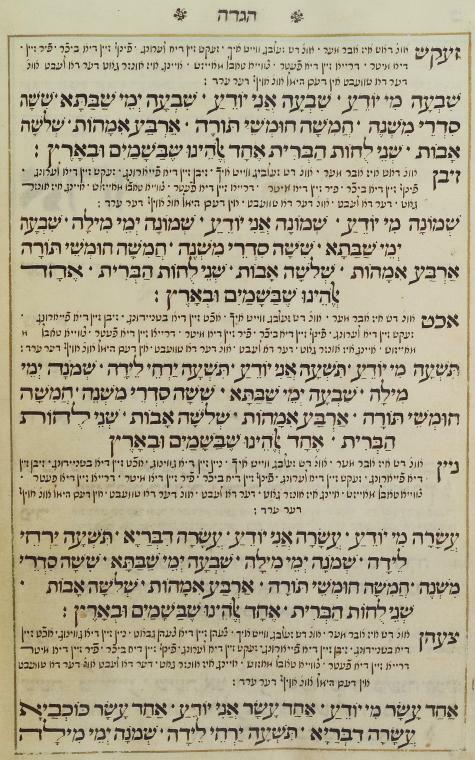 The סדר Seder tells the story of the Exodus which can be found in the Torah/Tanakh/Bible. 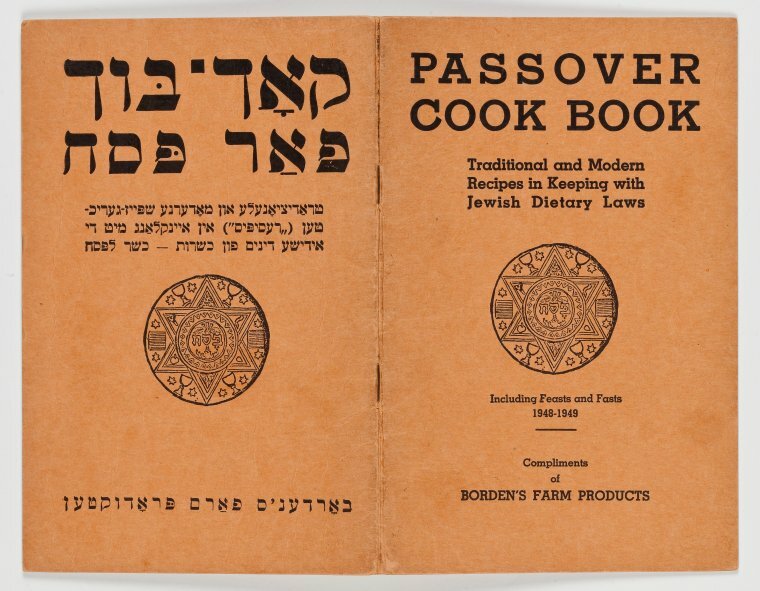 Seder means order in Hebrew and we follow a particular order of traditions and read in the Haggadah each year. Some things vary from family to family, country to country, yet, and this is very cool to me, some things are exactly the same. That’s a connecting thing. כרפס Karpas, usually parsley or celery or a potato slice, is symbolic of the life and freshness of spring. The karpas is dipped into salt water, a reminder of the tears of the Hebrew slaves, treated so cruelly by the Egyptian rulers. מרור Maror, a bitter herb, usually horseradish, represents the harsh reality of slavery. We’re taught that we should make sure we aren’t a slave to anything today. Also, we’re to do a mental time travel and imagine ourselves there in our home with the blood on the doorpost (mezuzah is the Hebrew word for doorpost actually), safe if we were obedient to what the Creator had told us to do. The blood was a symbol of that. Yeshua’s blood was spilt as our sacrifice so that we can have eternal freedom from any kind of slavery. חרוסת Charoset, meaning clay, made with a mixture of dates, plums, spices and nuts, represents the mortar the Israelites had to use when forced to build the Egyptian monuments. The charoset’s sweet taste, though, represents the sweetness of freedom. That with the maror shows us that even with trials and troubles there is the hope/promise of freedom. Just as the Israelites were set free by the Creator back in the day, each person, Jew or Gentile today, can be set free by believing in Yeshua as HaMashiach, The Messiah, the Promised Pesach Lamb. Eternally free. Baruch HaShem. When ישוע Yeshua sat down with the disciples and gave the blessing, which is a blessing to HaShem (Hebrew for The Name of the Creator), not to the food, the same blessing we all have today in our Haggadot is what He said. It has stood the test of time. Read to Your Heart's Content Blog at WordPress.com. Reviews for Popular Books, Music, Movies, etc.